Upgrading a bathroom is a great way to increase your home's value. 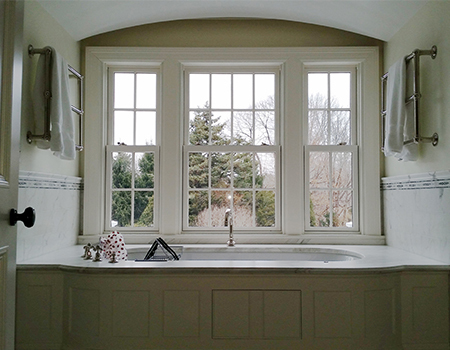 Bathroom remodels are a popular home improvement project for the value they bring to a home. Remodeling your bathroom is a great way to improve your home's appearance, create better function, and raise property value. At LG Building and Remodeling, we specialize in complete bathroom remodeling services that will help you transform your home. Whether you're interested in upgrading a small bathroom or your master suite, we're here to help with expert design and quality installation. 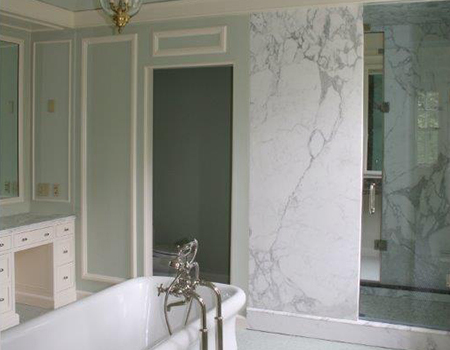 Contact us today to get started with a design consultation and estimate on your bathroom remodeling project! Design: Creating the right design for the space is essential in any bathroom remodel. We'll help you choose the right vanity, tile, and fixtures to create the look you want in your home. We can also help with layout changes, conversions, and accessibility needs. Tubs: We offer all types of bathtub installations, including tub/shower combos, jacuzzi tubs, and soaker tubs. We also can provide you with a handicap accessible tub and additional safety features, if needed. Showers: Shower design is a key part of any bathroom remodel, and we can help you get the right walk-in shower or combo unit for your needs. We're here to help with design, tile, doors, and shower heads to create the right finished product. Vanities & Fixtures: The right vanity is an important part of every bathroom, and our experts will help you choose between single and double vanities, storage options, sinks, faucets, and mirrors. We provide all types of countertop materials as well. Tile: Our tile professionals will help you get the right design for your floor and shower walls and provide you with a quality installation. We can provide you with a custom tile installation that suits your home's design. Choosing the right tub and shower options is essential to your bathroom's layout. We'll help you get the right vanity for your bathroom and provide a quality installation. If you're interested in upgrading your home's bathrooms, the experts at LG Building and Remodeling are here to help. We provide quality bathroom design and remodeling services, and we'll help you get the function and appearance you want while improving your home's value. Contact us today to get started with a design consultation and estimate!